Learn why it's important have your attic insulated properly to avoid having a cold, drafty home. High utility bills and rooms that are too hot in the summer and too cold in the winter are just a few signs that your attic may not be properly insulated. Upgrading attic insulation is a simple, cost-effective way to improve comfort. Having adequate attic insulation can also cut heating and cooling costs by as much as 40 percent. When you contact Coastal Insulation for an insulation estimate, we will inspect insulation levels and determine the best insulation solution based on your home's design and your specific needs. We have the experience and tools to install many different insulation materials, including spray foam, blown-in, cellulose and more. 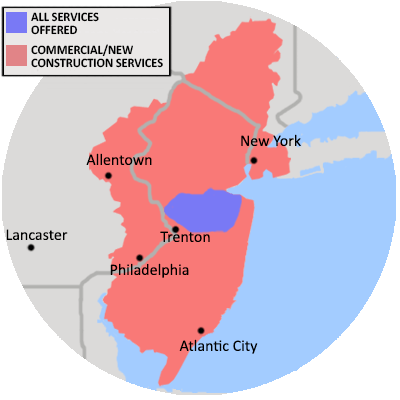 Coastal Insulation is your trusted expert for home and attic insulation in NJ, NY, and PA. We offer customized attic insulation solutions to residents in East Windsor, Princeton, Montgomery and nearby. Call us or contact us online to schedule an appointment today! Rooms located below the attic get too hot or too cold, even when other parts of the house remain comfortable. High electric bills and/or high costs for heating fuel. Recessed “can” lights in the ceiling directly below the attic. Attic floor joists can be seen above or between existing attic insulation. Less than 10 in. of existing attic insulation. Ductwork in attic is exposed above insulation. Don't forget to seal leaks! The attic is typically the biggest source of energy loss in a home. Installing the right amount of insulation and sealing air leaks can make a big difference in your energy bills and comfort. Insulation levels and thermal performance are measured by R-Value. The higher the R-value, the better the insulation's ability to resist heat flow. Many homes have as little as 9 in. of attic insulation in regions where the U.S. Department of Energy recommends 16 in. It is recommended that most homes in New Jersey, New York, and Pennsylvania have between R-49 and R-60 of attic insulation, depending on the insulation material. Air sealing is a critical step when insulating an attic because sealing air leaks stops conditioned interior air from leaking into the attic. Air sealing can prevent attic mold and significantly reduce heating and cooling bills. Coastal Insulation uses a variety of materials and techniques to stop this energy-wasting air leakage. Be sure to check out our specialized SuperAttic™ System for continuous & airtight coverage. Coastal Insulation's technicians have the knowledge to install a variety of insulation materials, including cellulose, blown-in, and spray foam. If your home is cold or drafty, we can provide you with a quality insulation solutions that saves you energy and creates a warmer space. Call 1-844-565-1285 or contact us online to schedule a home energy assessment or a free estimate for home insulation in Old Bridge, Trenton, Hightstown, Monroe Township, East Brunswick, New Brunswick, Marlboro, Lawrence Township, Princeton, North Brunswick and surrounding areas.